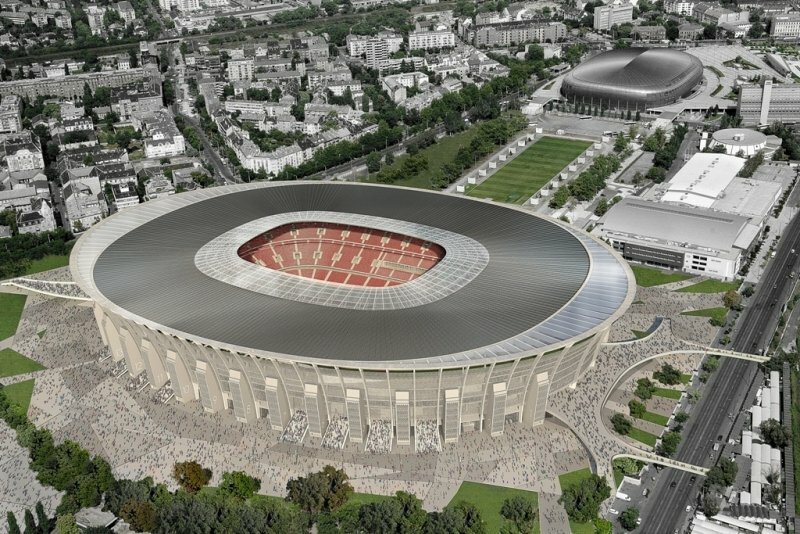 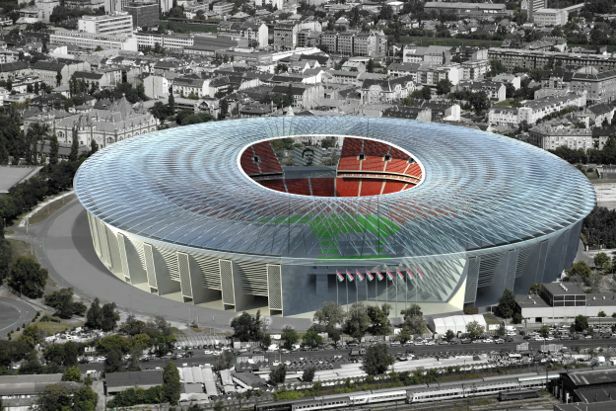 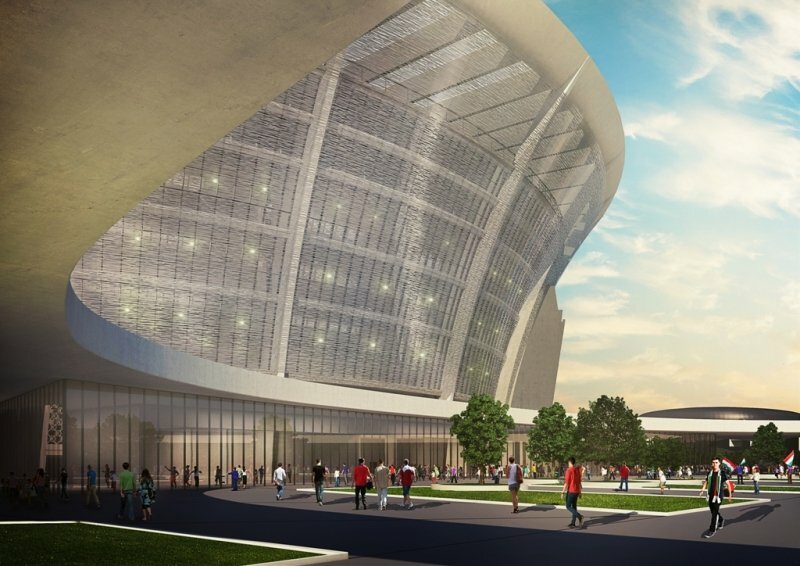 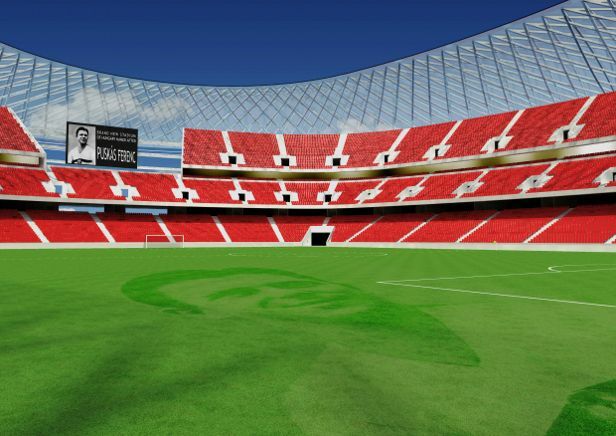 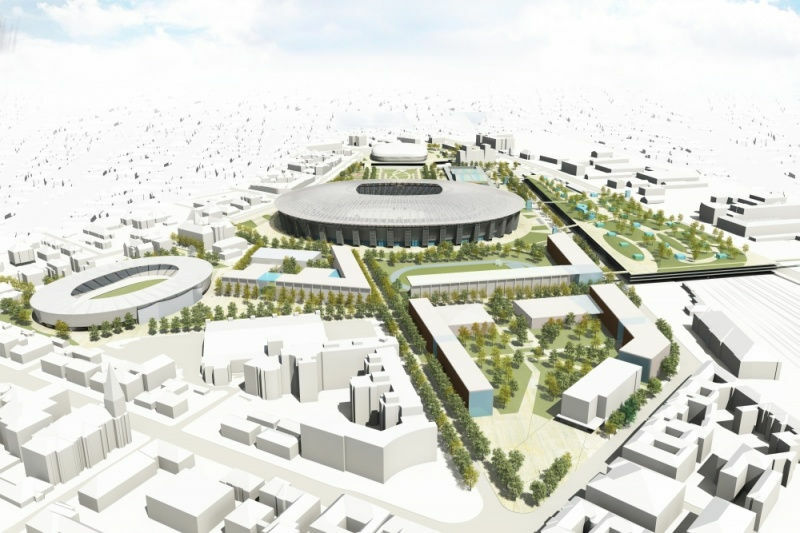 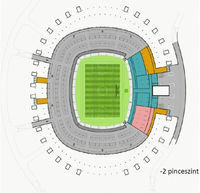 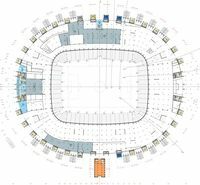 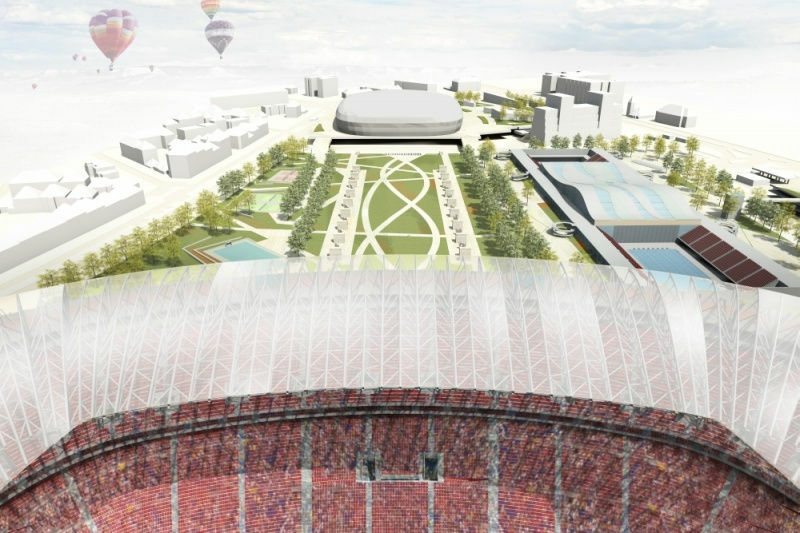 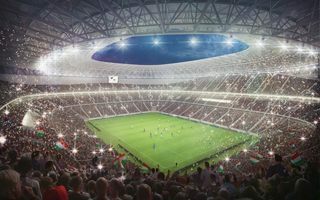 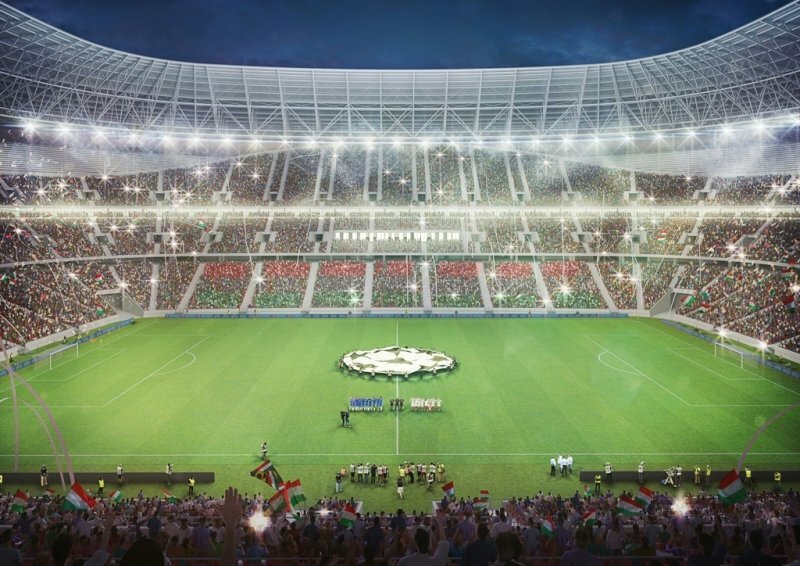 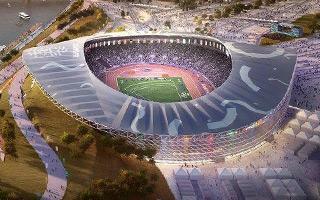 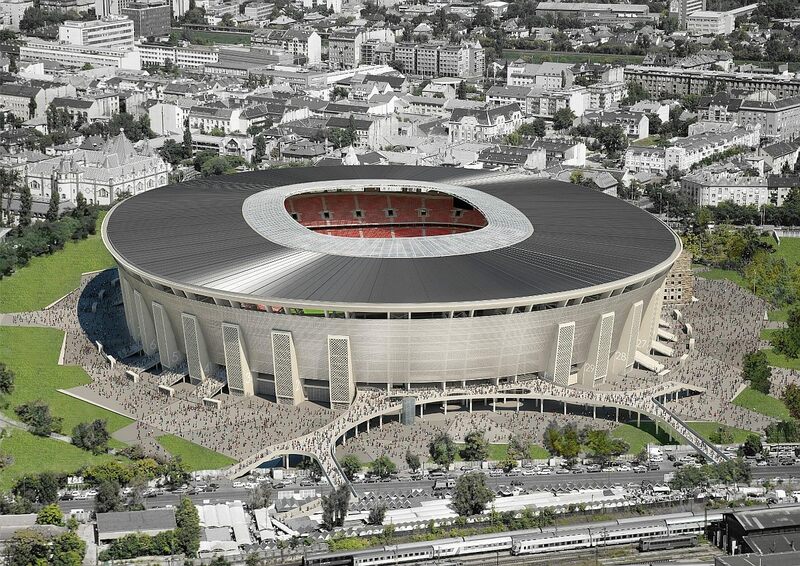 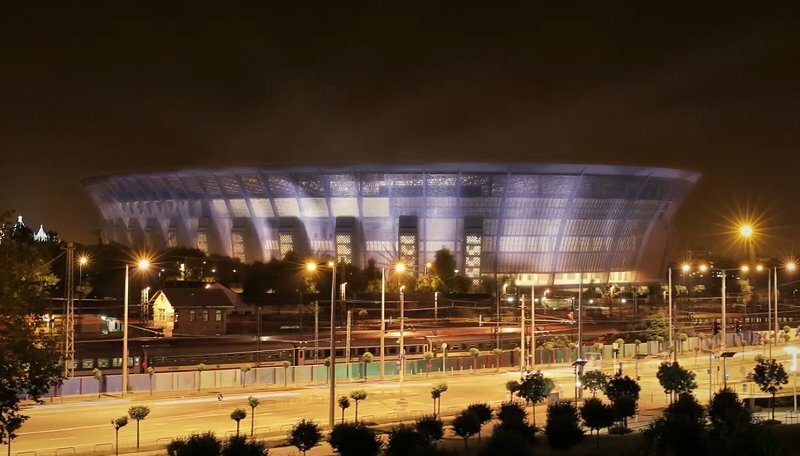 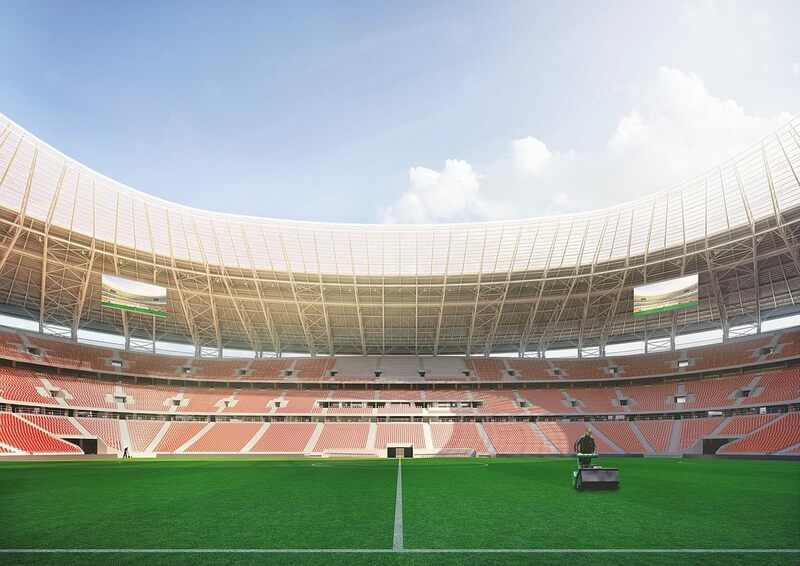 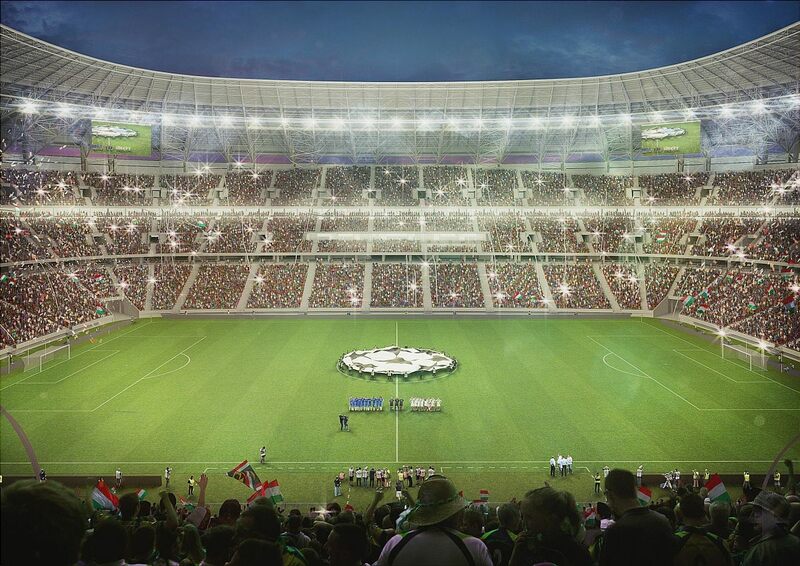 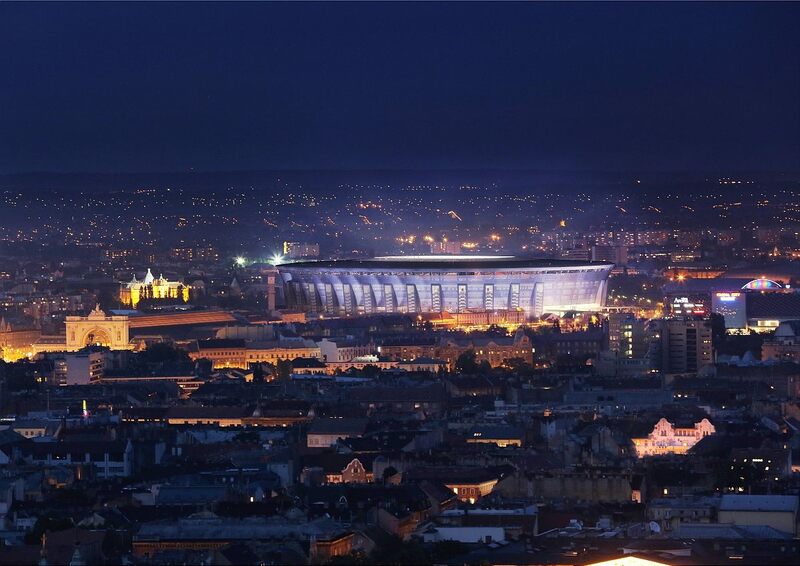 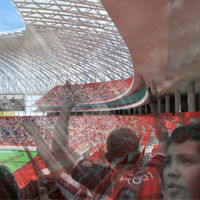 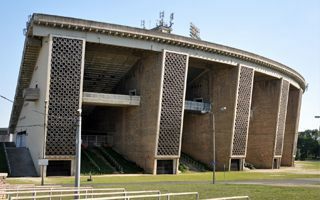 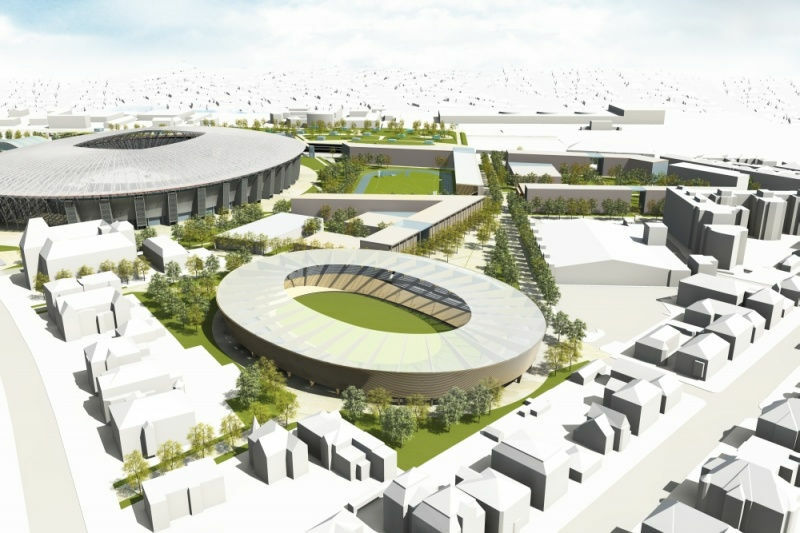 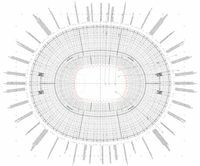 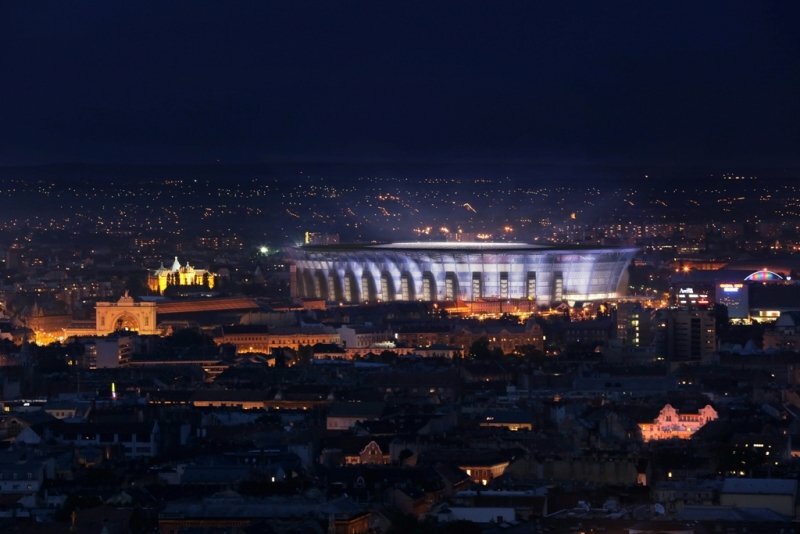 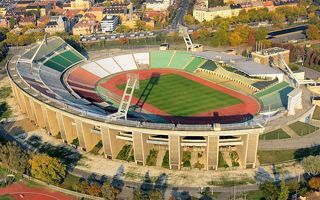 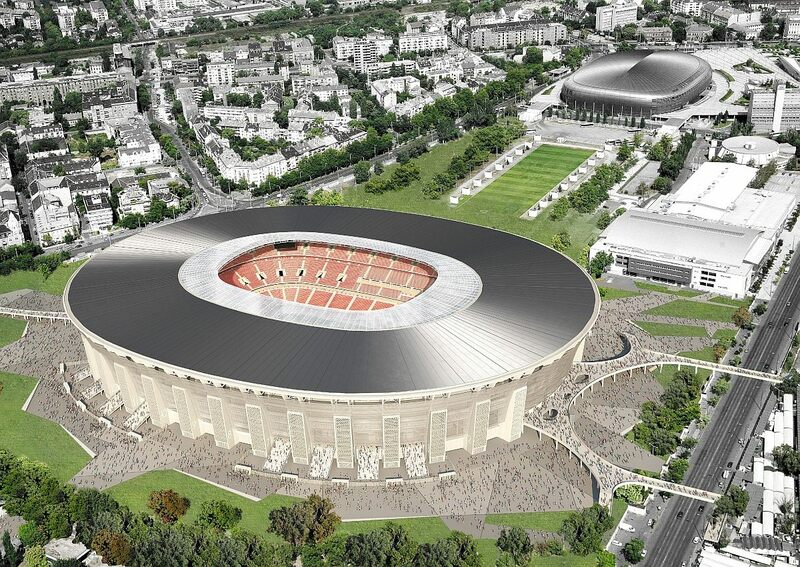 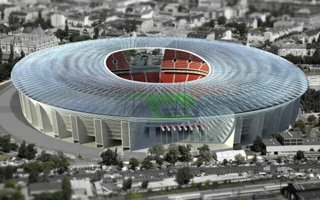 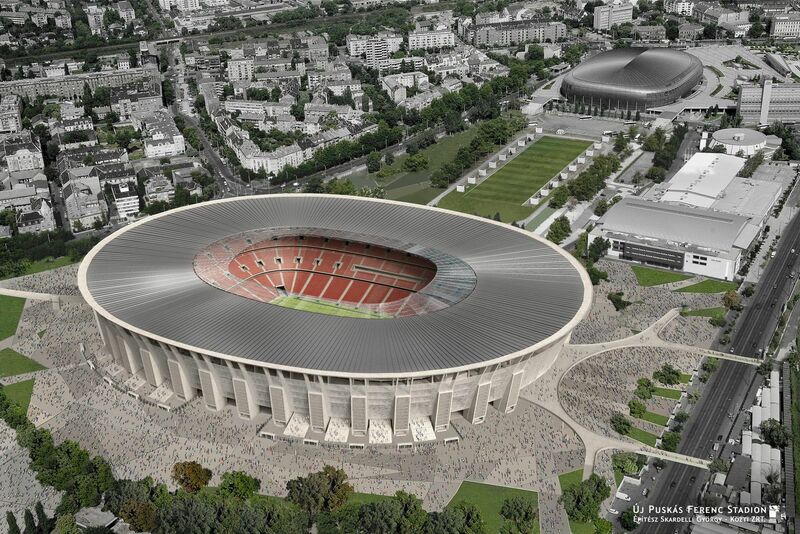 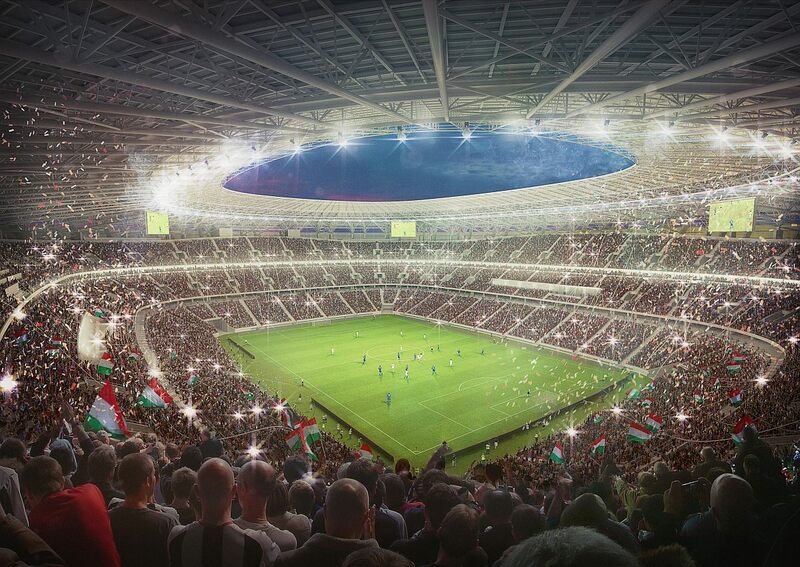 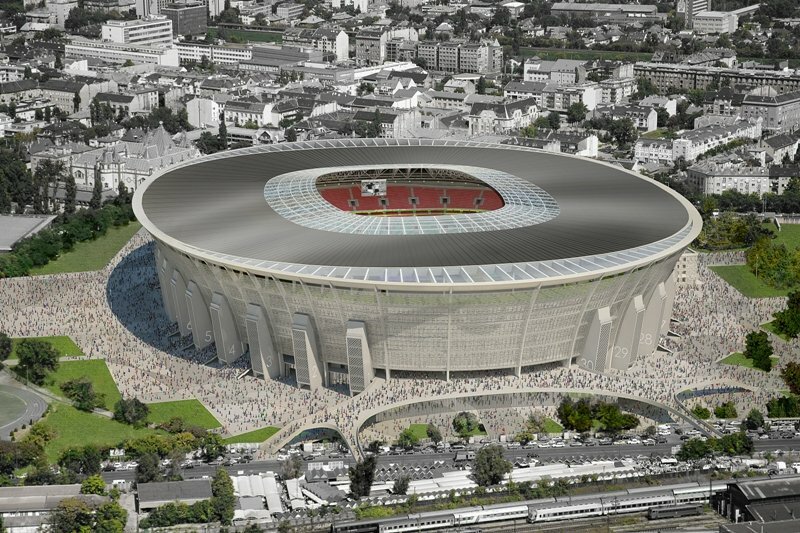 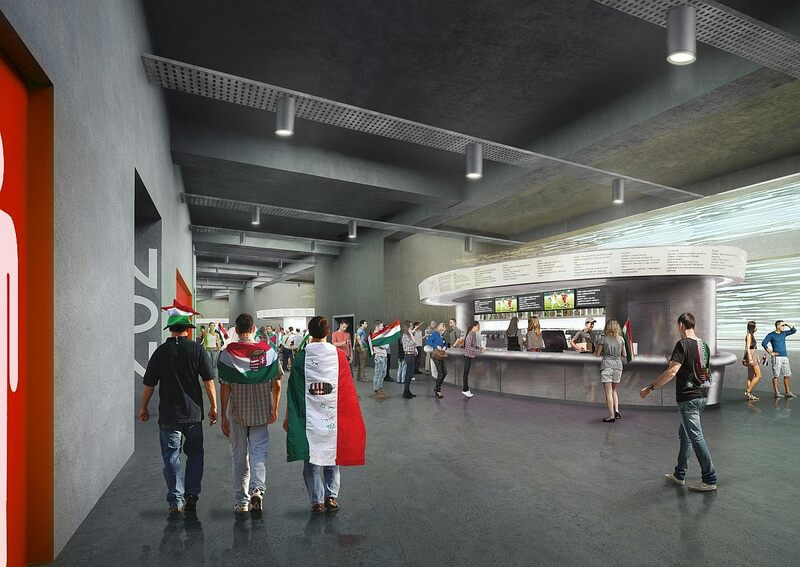 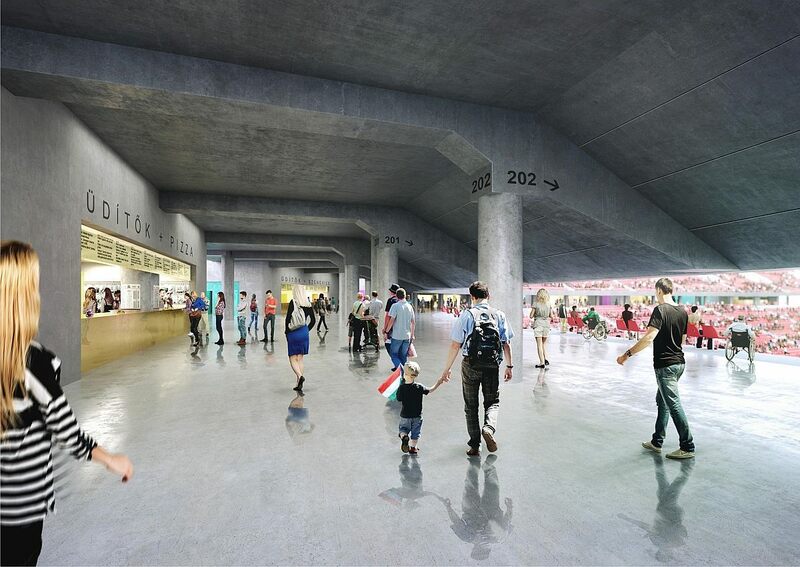 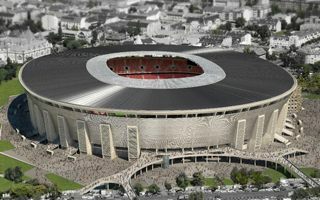 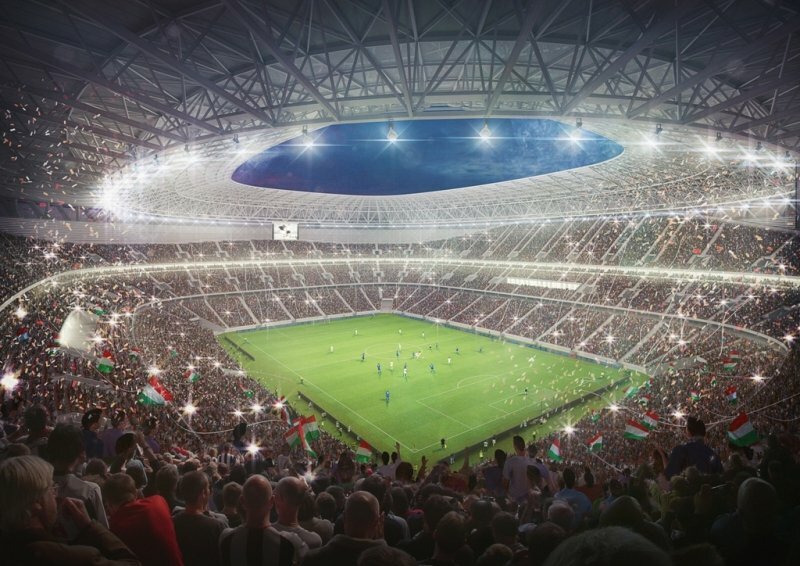 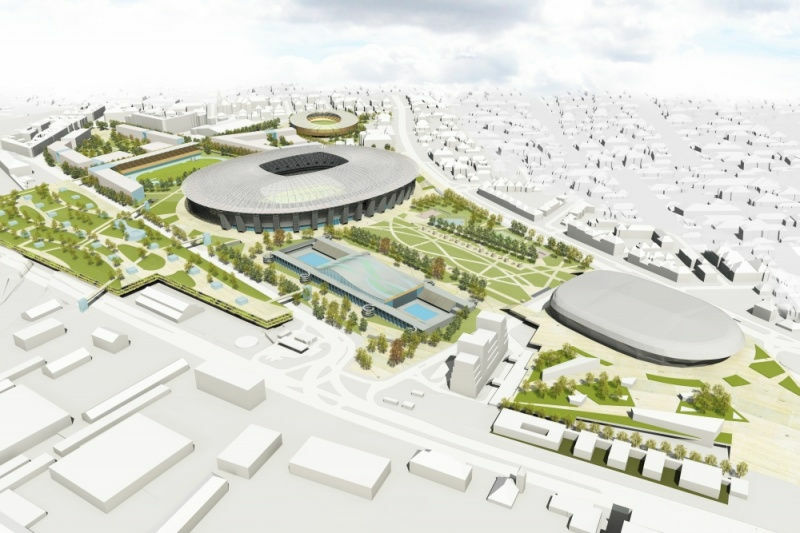 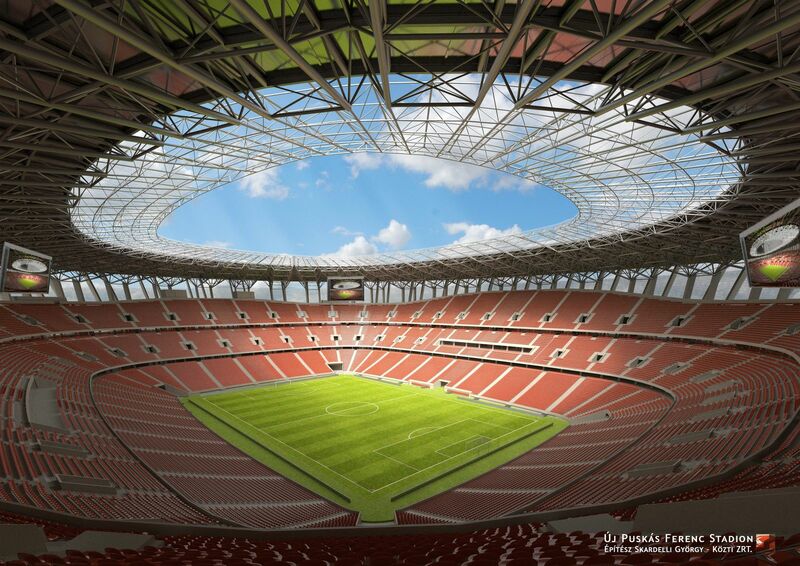 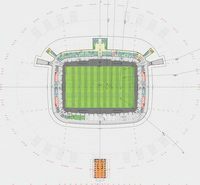 New national stadium of Hungary is to be built within the bowl of existing Ferenc Puskas Stadium. 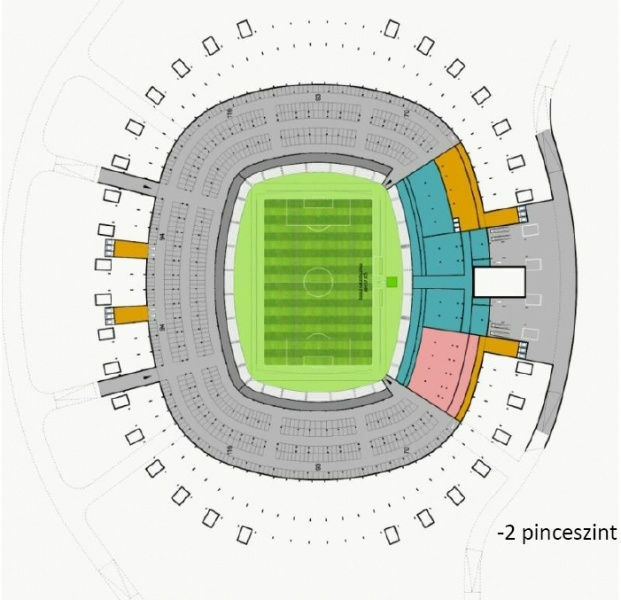 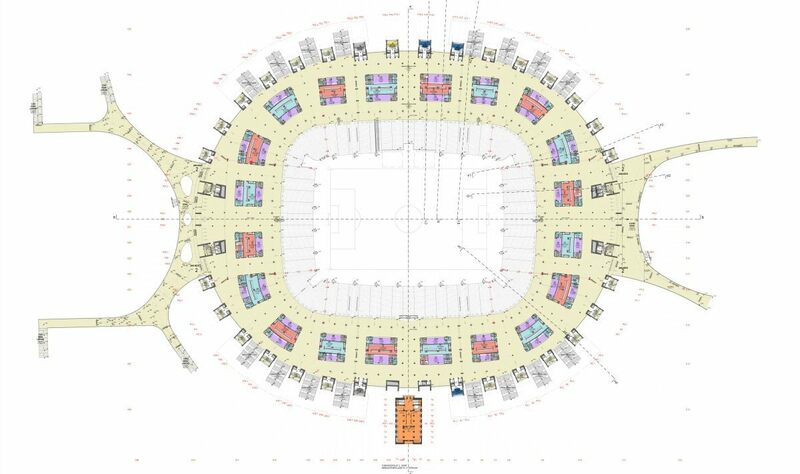 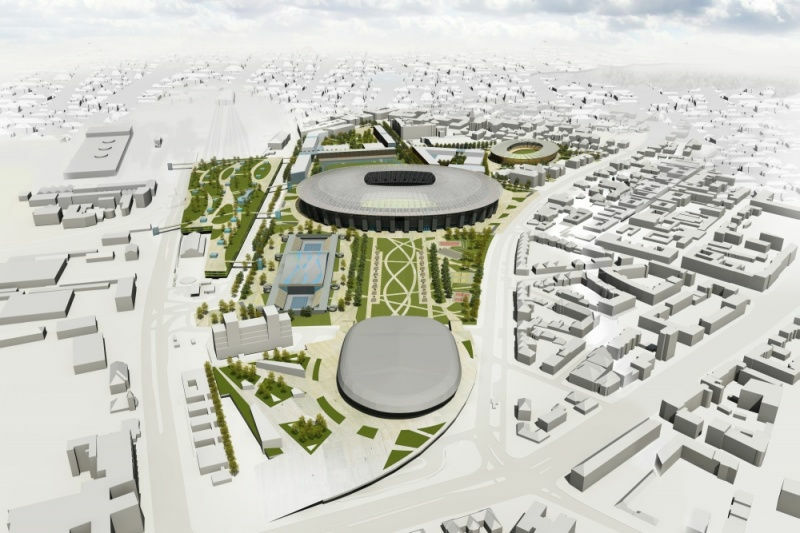 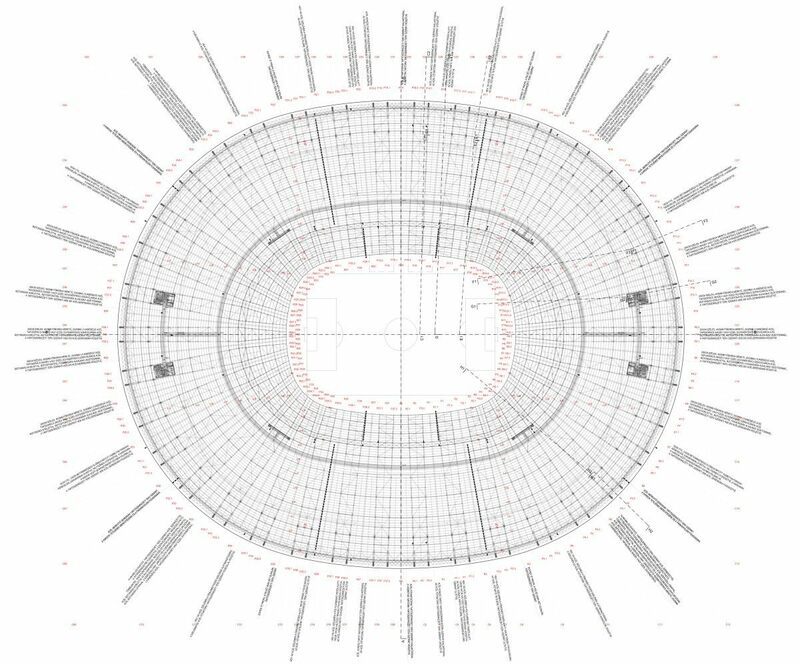 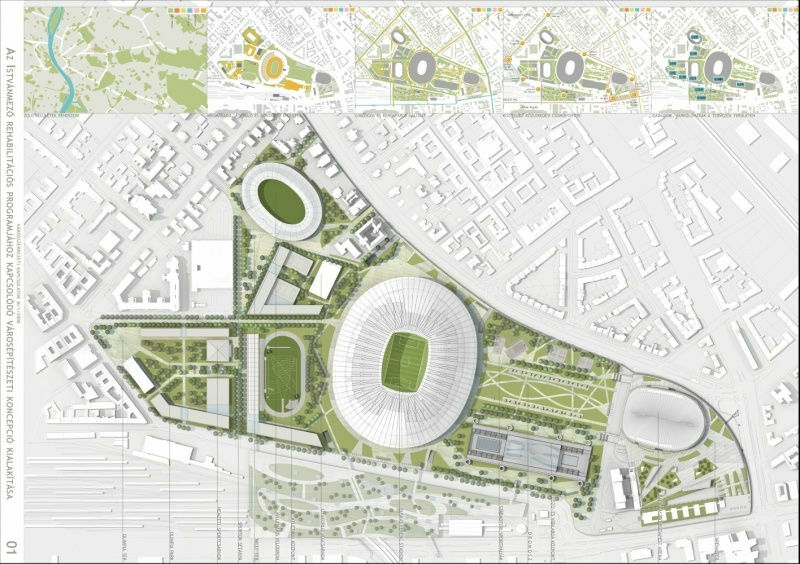 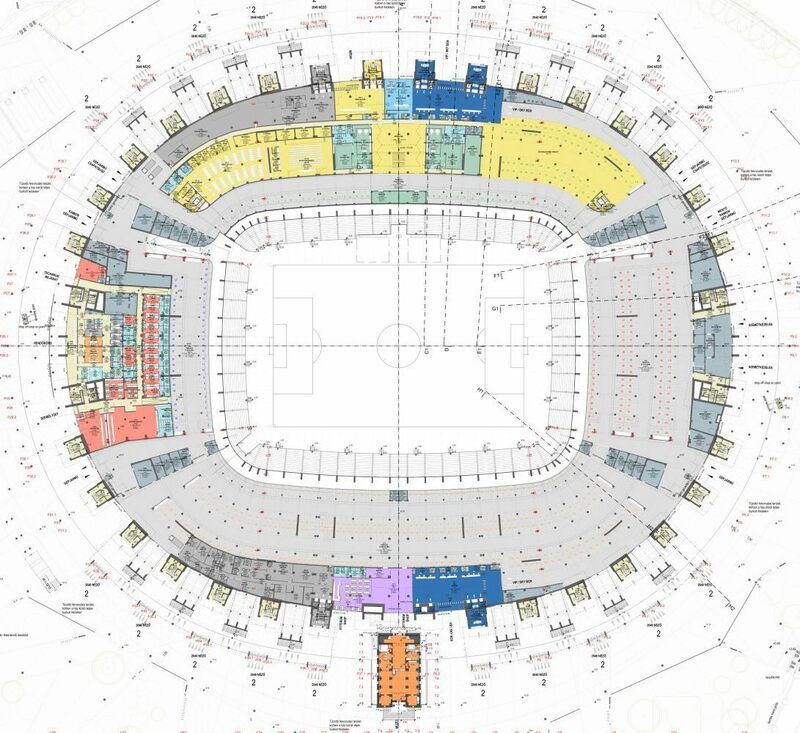 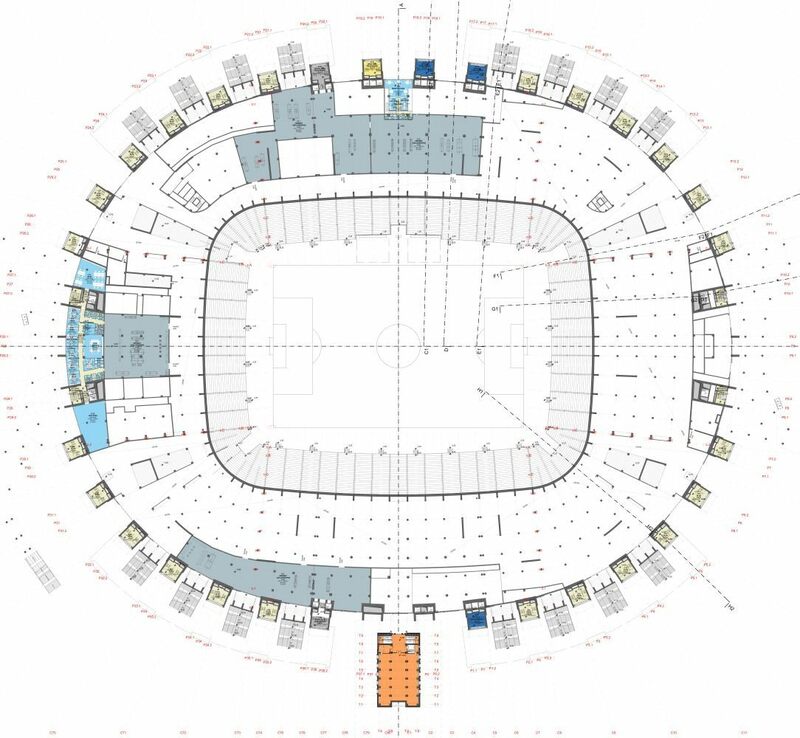 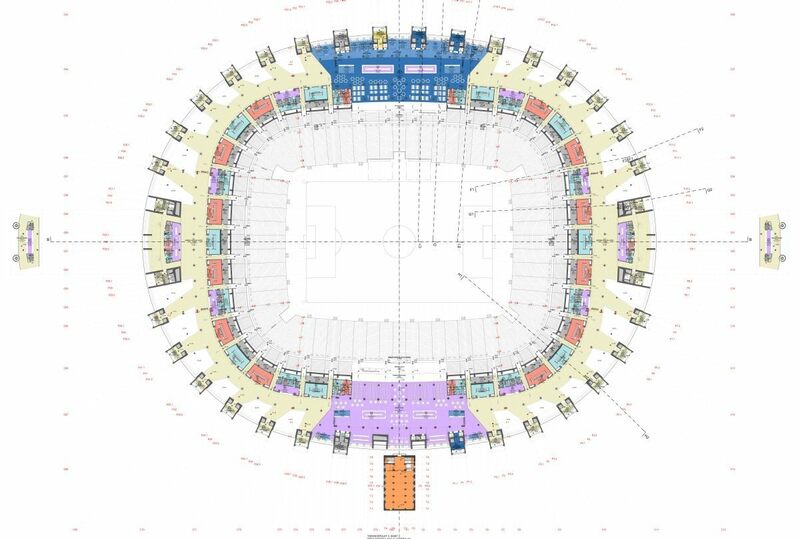 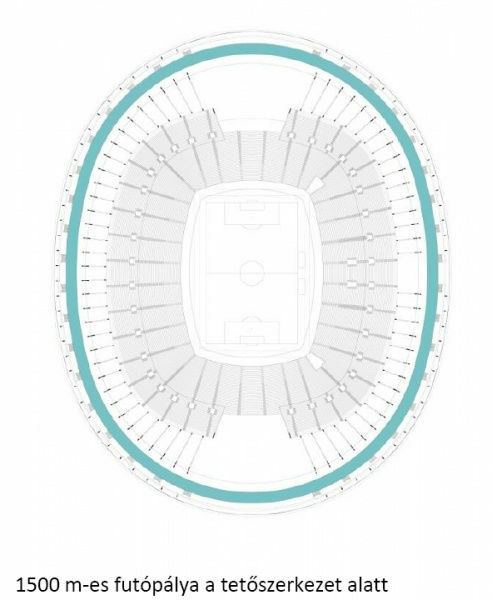 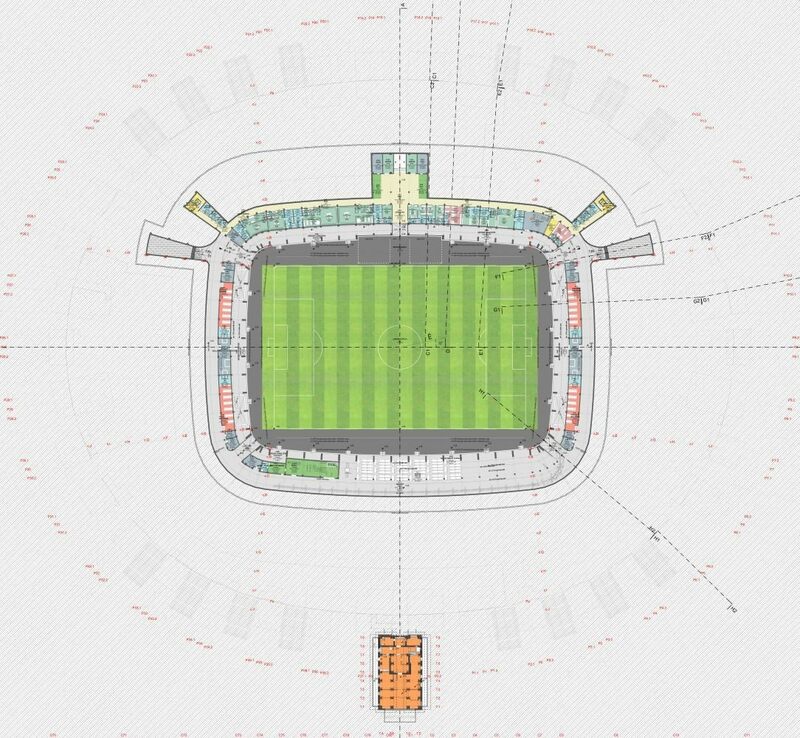 With football-specific layout stands will have much smaller blueprint than the old ones, leaving much room for additional facilities, which would support the surrounding Olympic Centre and provide extra revenue possibilities. 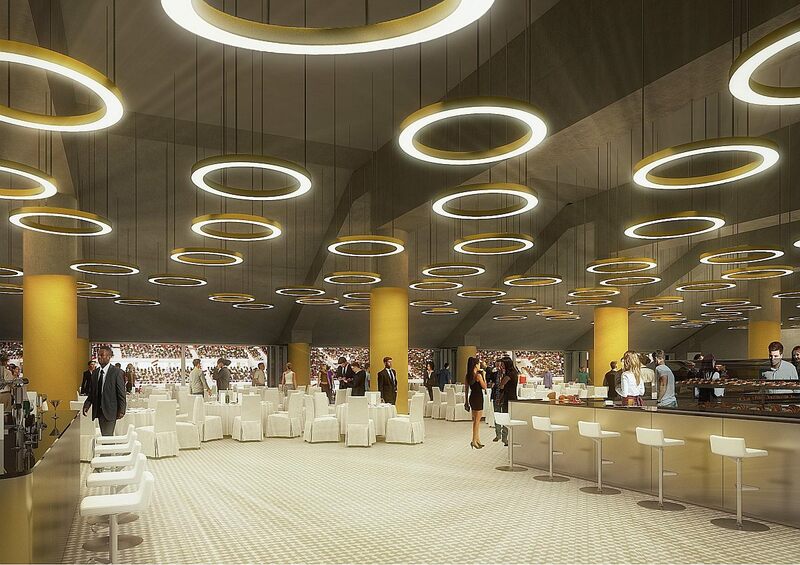 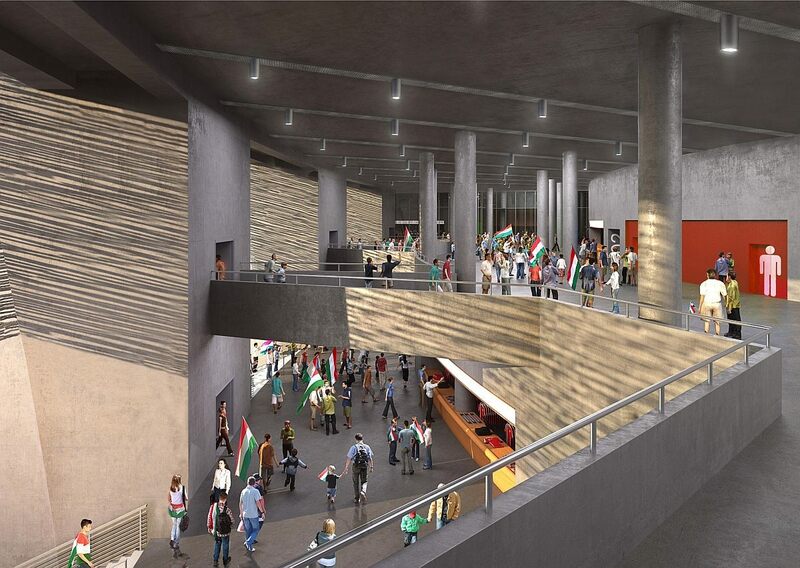 Altogether 15 indoor sports halls within the stadium will allow hosting 21 various disciplines. 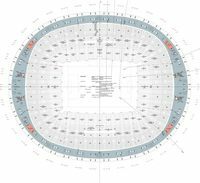 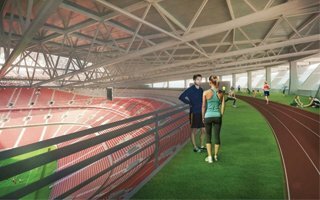 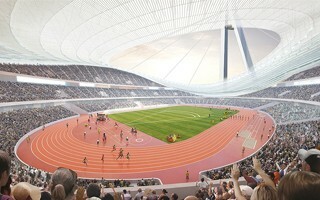 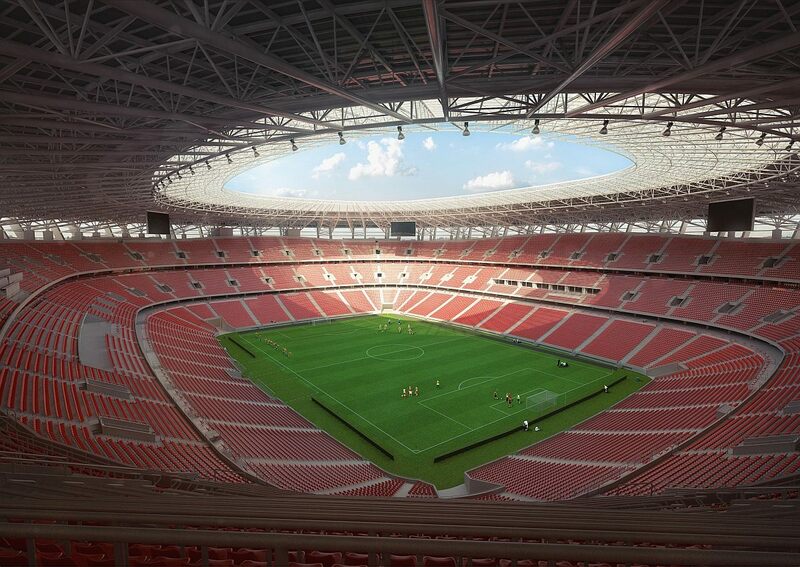 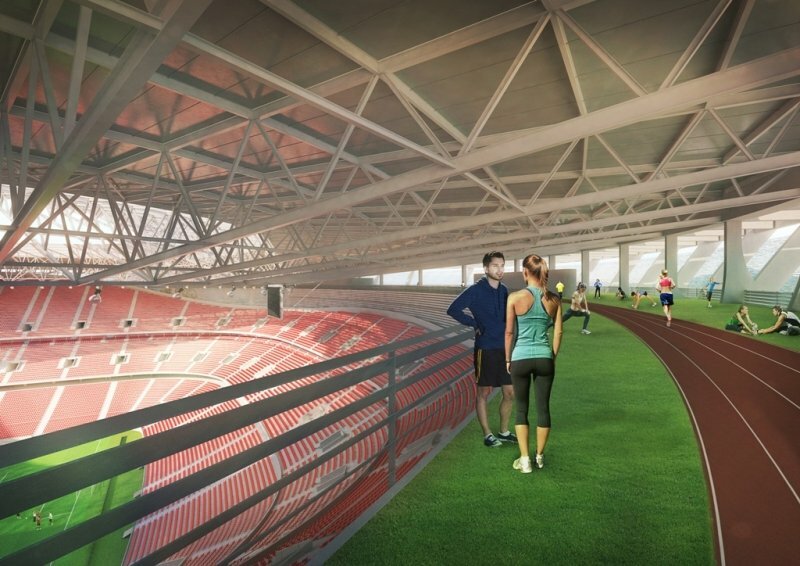 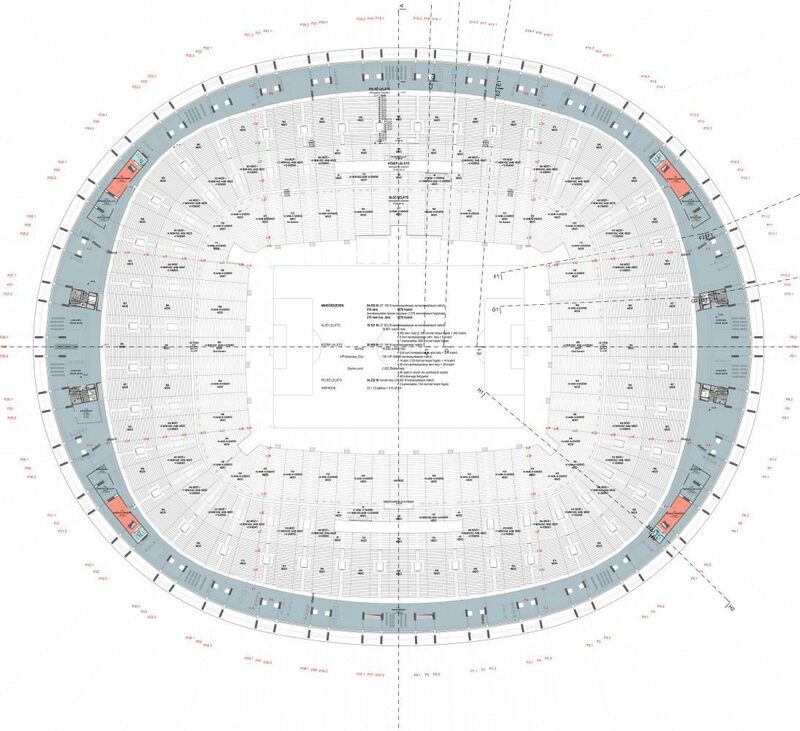 Perhaps most interestingly, an 800-meter training running track will be placed above the stands (! 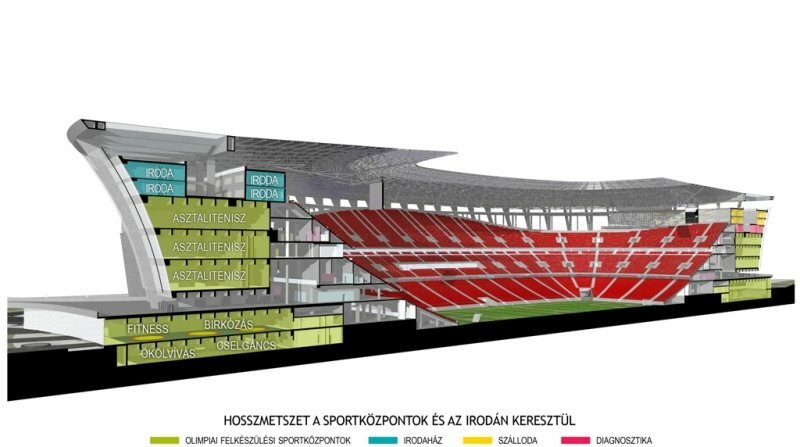 ), with a panoramic view of Budapest. 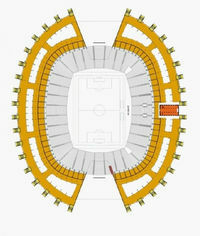 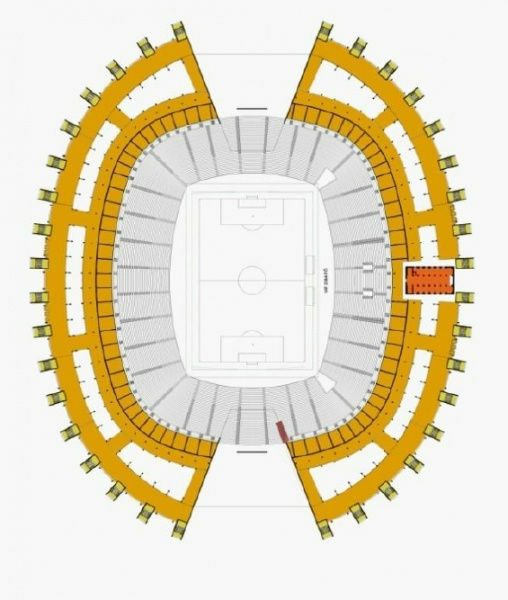 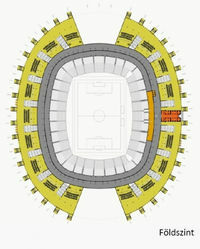 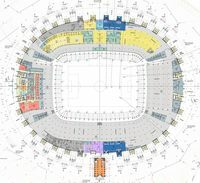 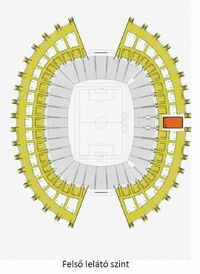 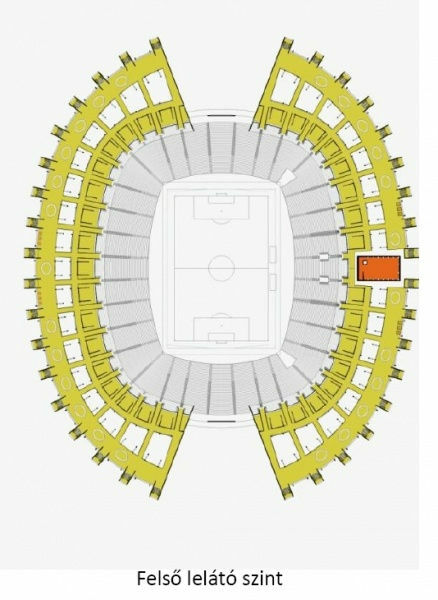 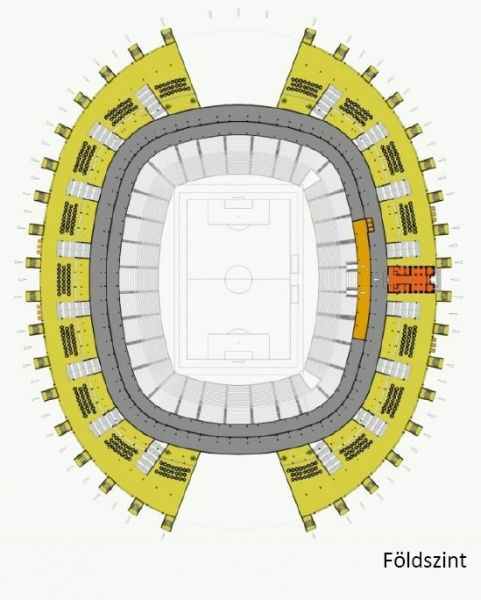 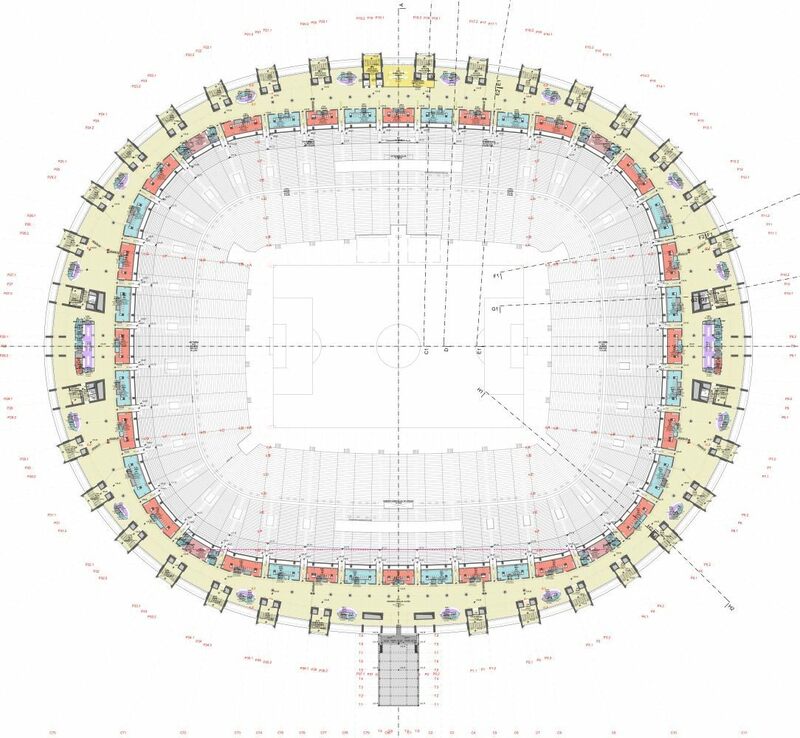 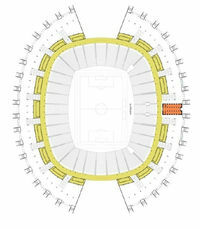 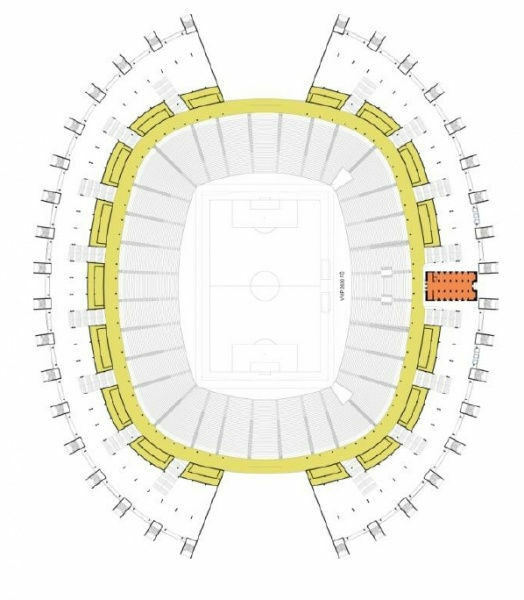 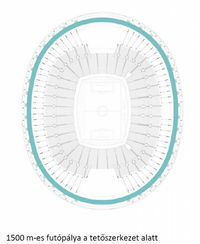 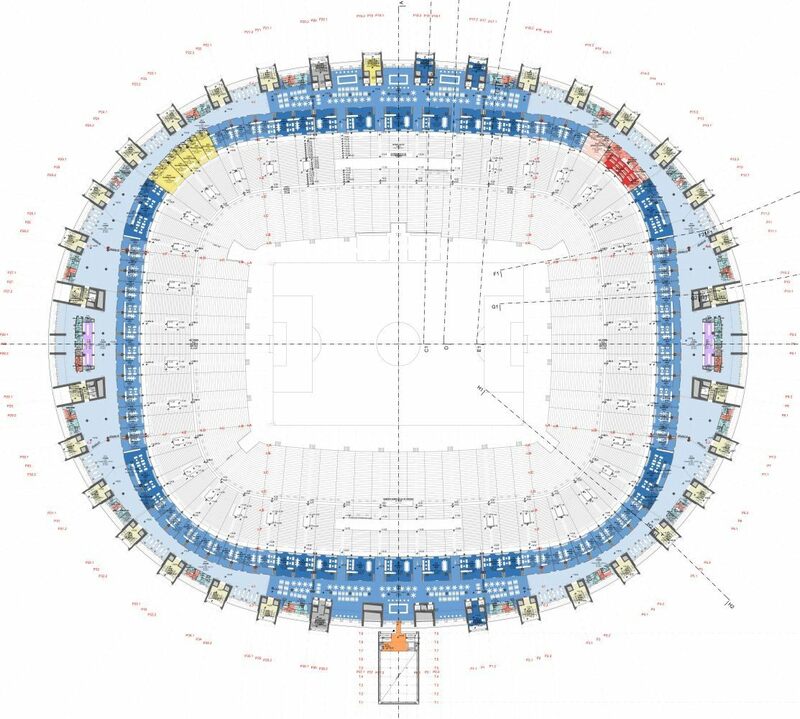 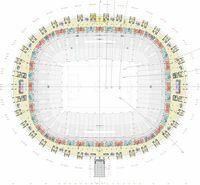 Capacity is to be kept at similar level with old stadium, at 67,889 people. 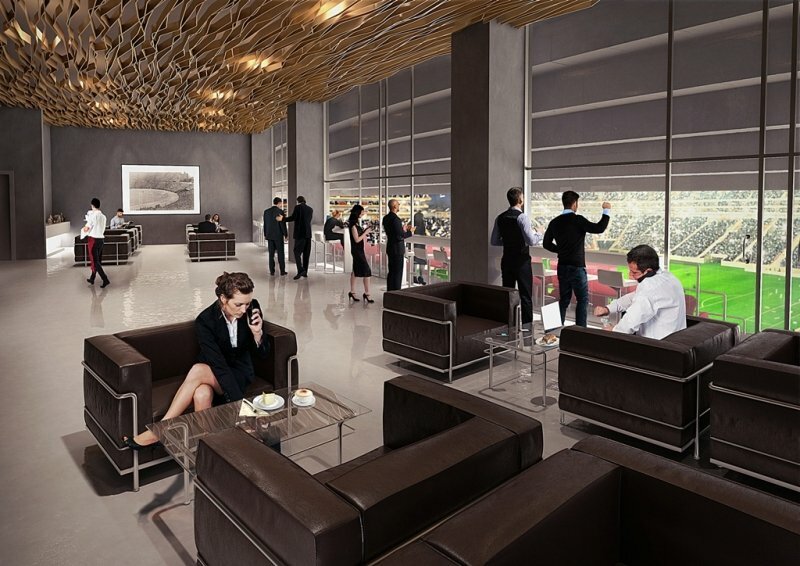 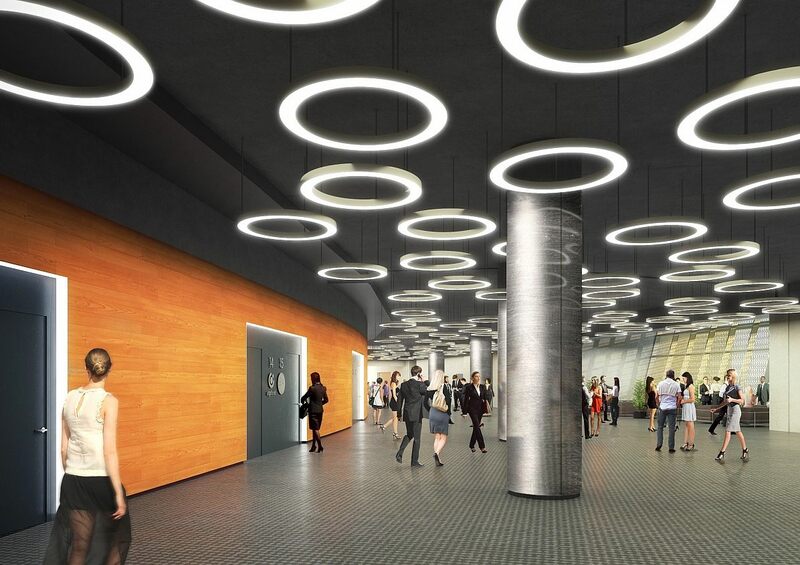 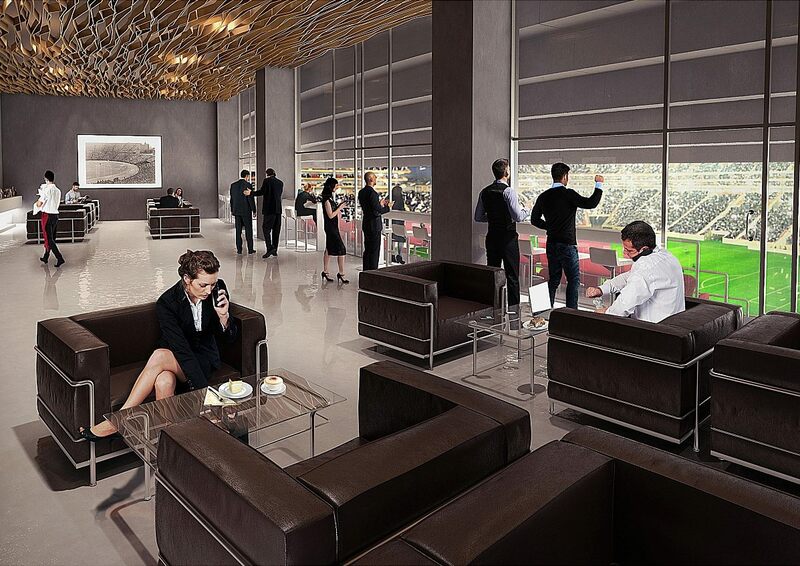 Below them over 200,000 sqm of space will be available, hosting a 150-room hotel, offices and conference centre. 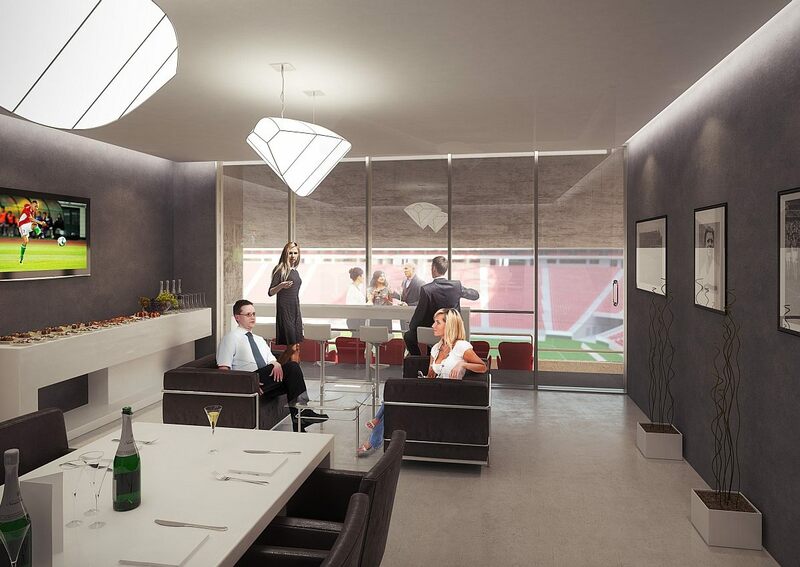 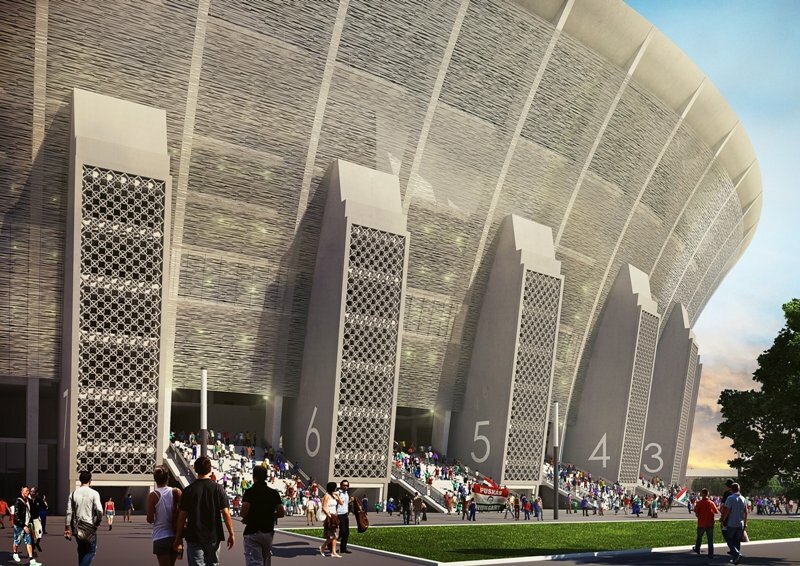 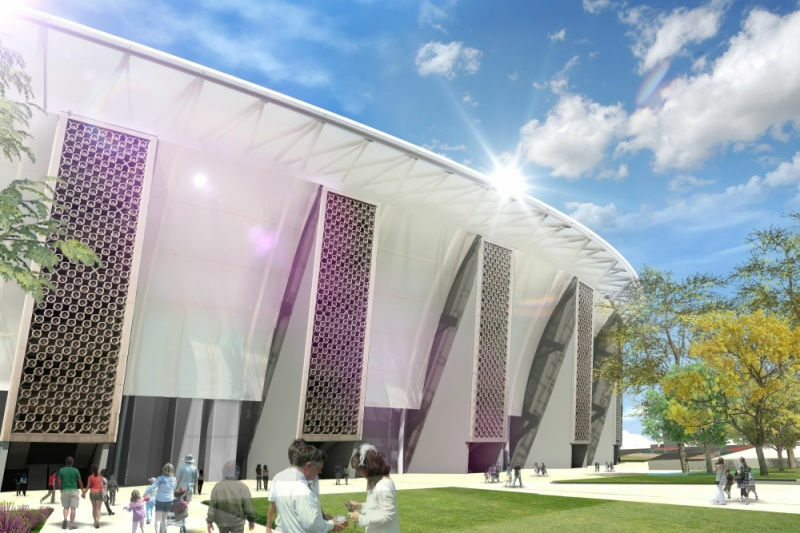 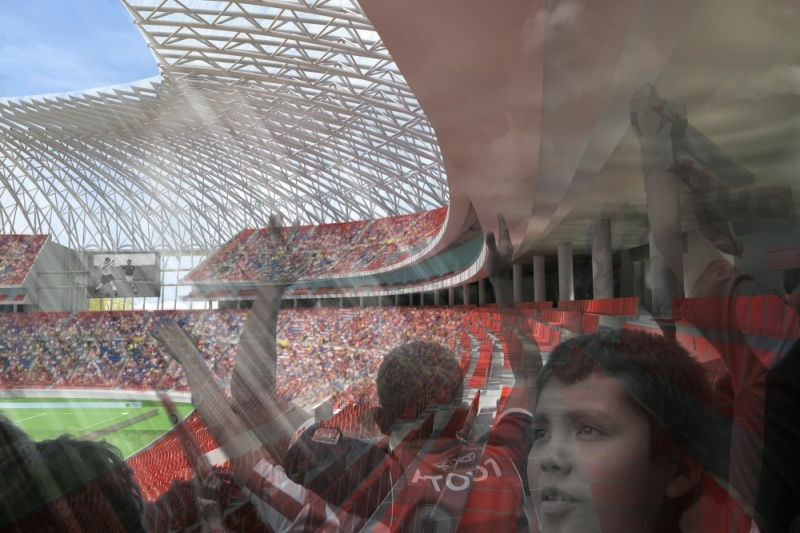 Existing stadium's main building will be retained and serve as football museum. 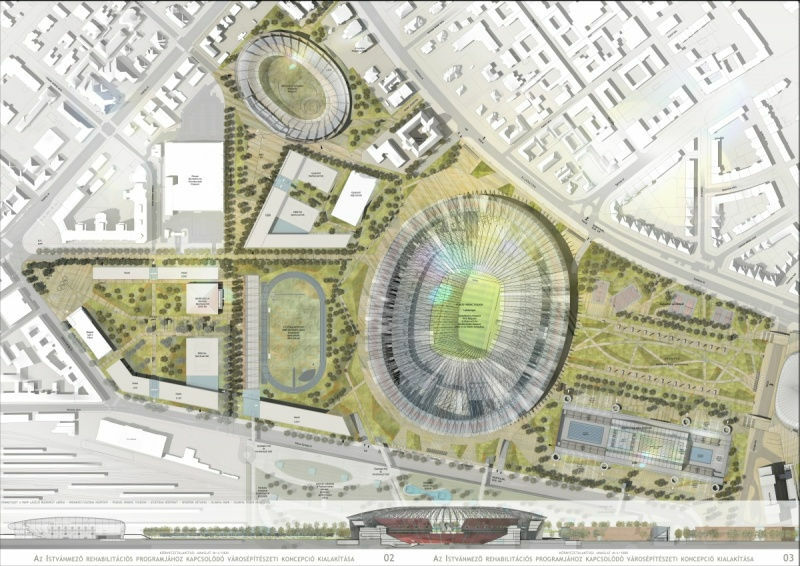 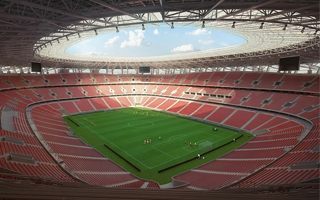 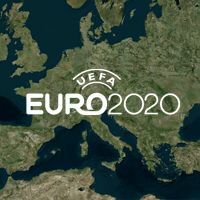 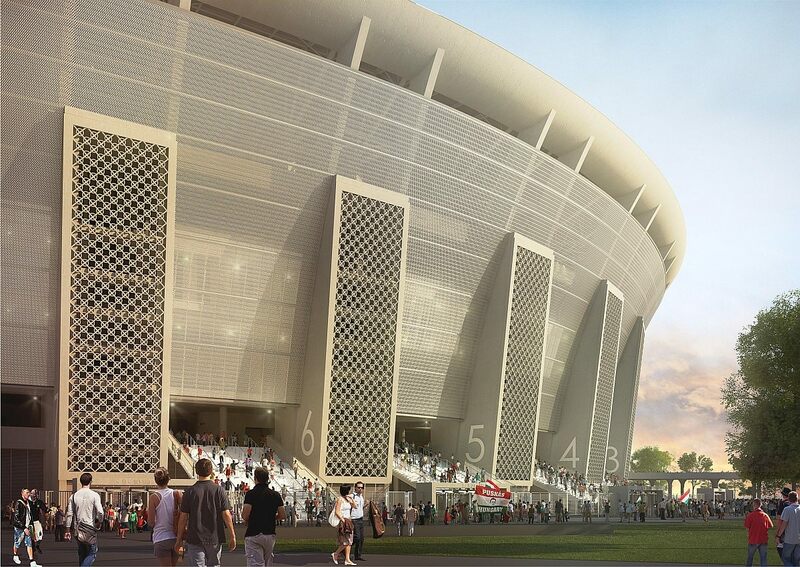 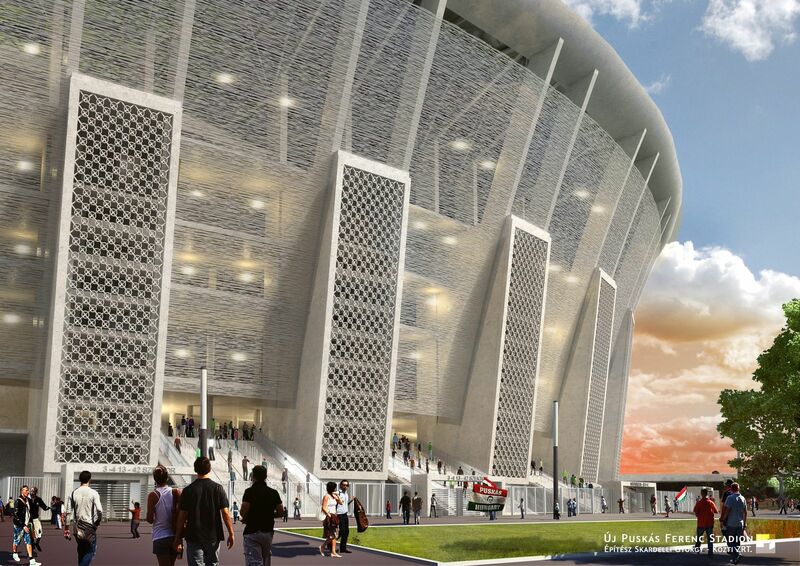 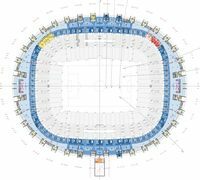 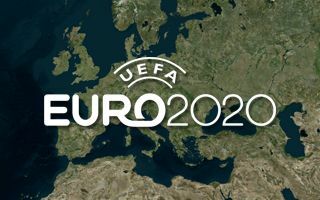 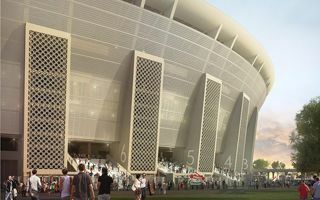 Construction is expected to start in 2017 and end in 2019, costing HUF 190 billion, an estimate including underground parking throughout the stadium. 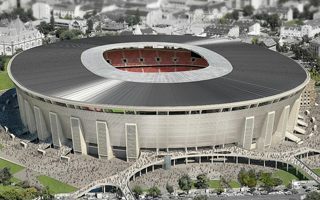 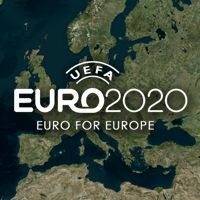 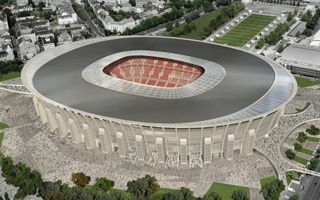 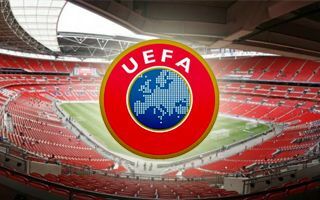 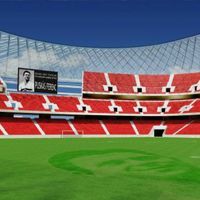 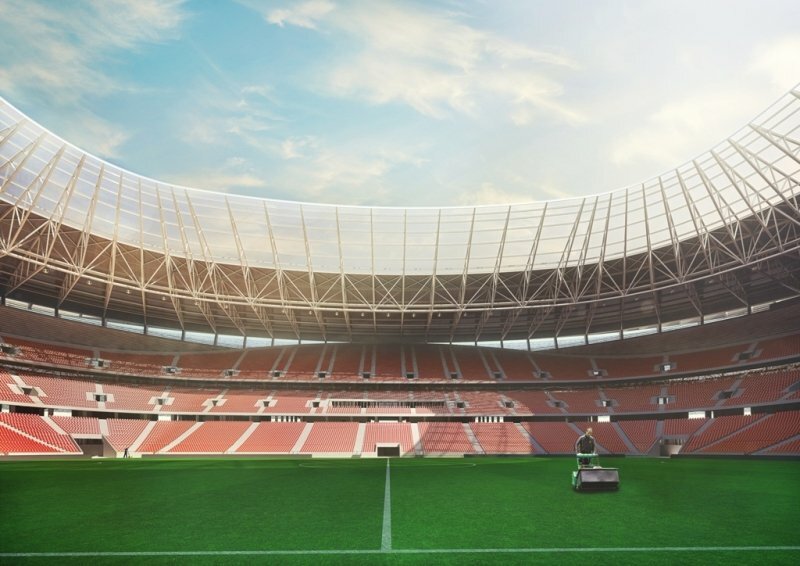 Republikon Institute carried out a survey showing massive opposition to government’s plans of pumping money into football stadiums. 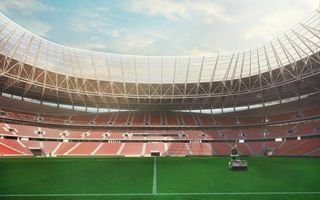 Only 16% agree that football should be the priority sport at all.